The Glasgow Short Film Festival has revealed the full programme for their ninth annual celebration of short cinema. As previously announced, the GSFF have commissioned musicians Hamish Brown (Swimmer One) and Drew Wright (Wounded Knee) to create a special live performance incorporating Dawn Cine Group's unfinished 1956 documentary, Lost Treasure. Post-punk icon Lydia Lunch will descend on the Glue Factory to screen rare 16mm films from the 1980s Cinema of Transgression underground movement. And we return to the fabled 16mm format for The Sum of All Fears, which is the UK's first screening of condensed versions of classic Universal horror films. These were originally created in the 1960s for horror fans to enjoy truncated versions of their favourite films from the comfort of their own homes, long before the advent of home video. In collaboration with Edinburgh artistic collective Neu! 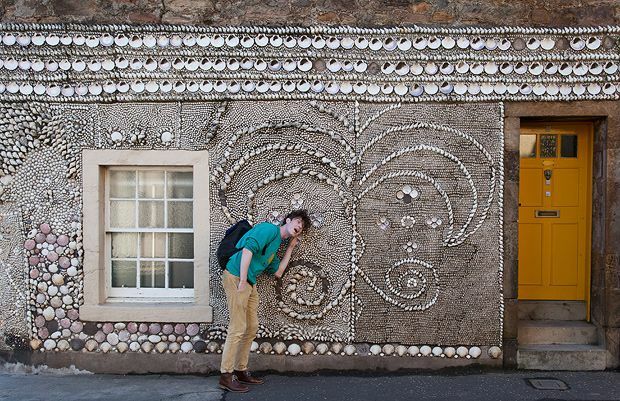 Reekie!, the GSFF present tour film Anywhere But The Cities, which documents the efforts of 30 Scottish poets, musicians and other performers as they put on 16 shows over 22 days across the country. Domestically, 26 new films will compete for the Scottish Short Film and Audience Awards, while a total of 34 films will screen from across the world in competition for the Bill Douglas Award for International Short Film and the International Audience Award. Rounding off the highlights are a focus on short films from Syria and a major retrospective of German documentary maker Jan Solday. There will also be the regular selection of family-friendly shorts, animation workshops and baby-friendly screenings. The Glasgow Short Film Festival is on Wed–Sun 20 Mar.